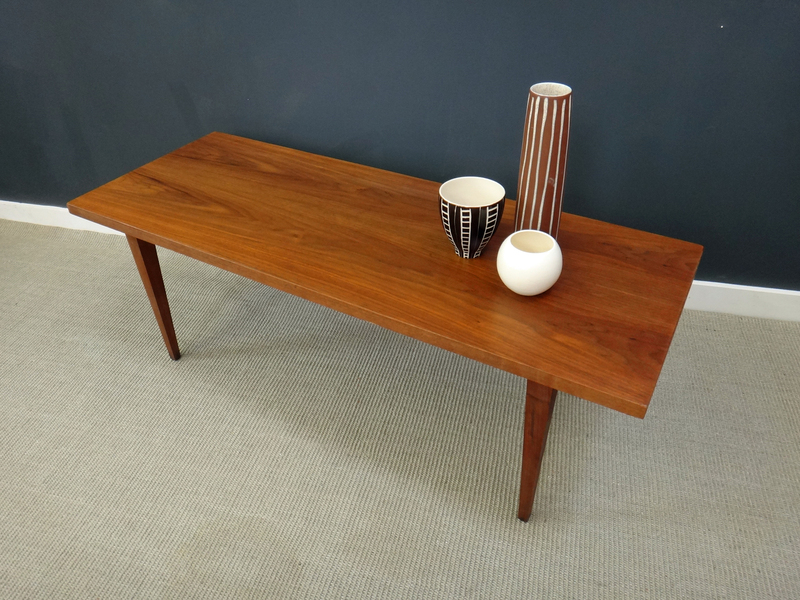 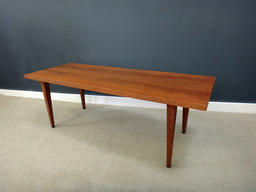 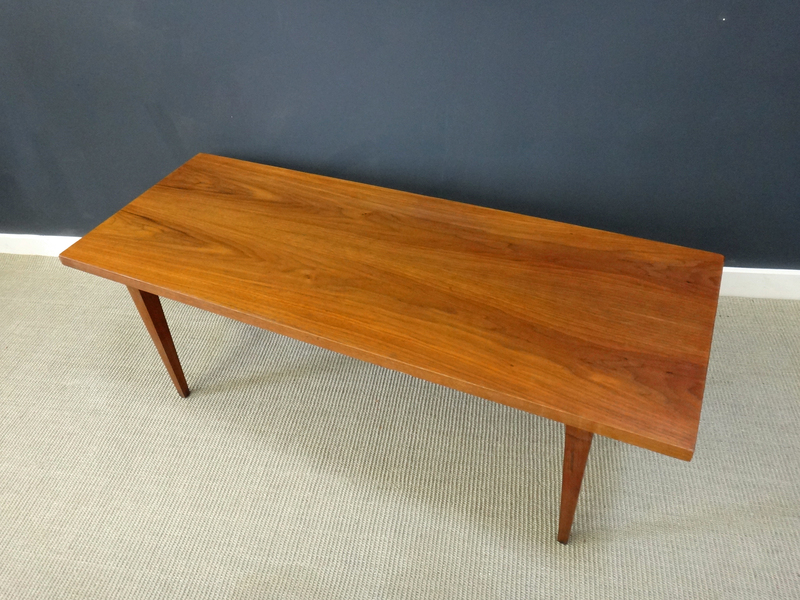 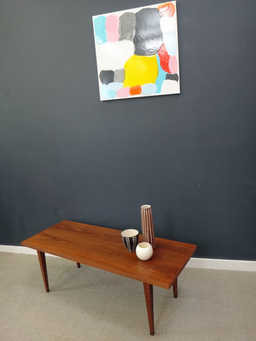 Beautiful walnut coffee table featuring squared tapered legs. Top has been refinished to highlight the beautiful wood grain. 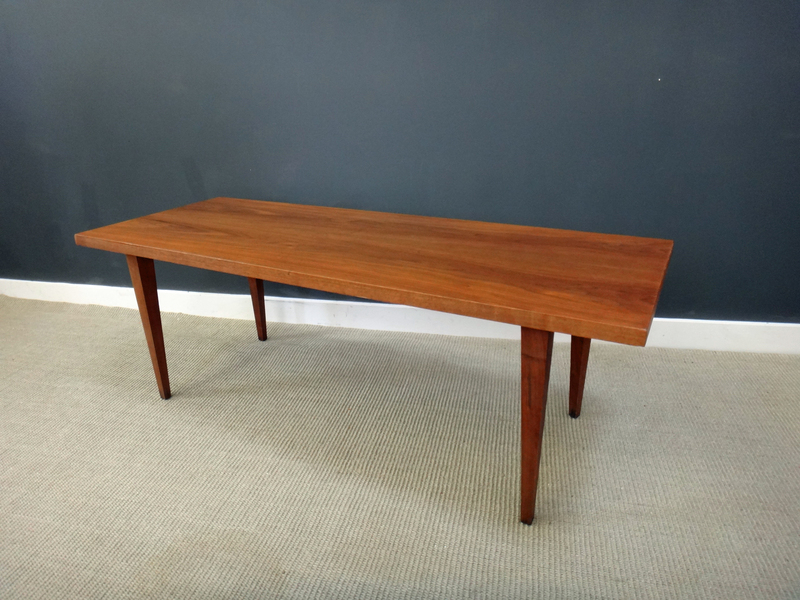 A classic, simple and elegant.